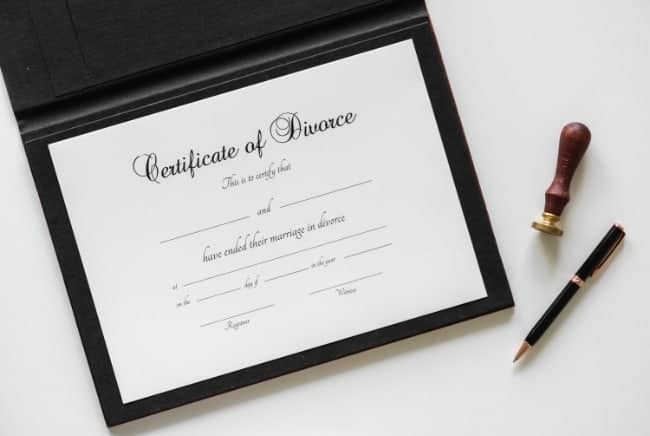 Whilst divorce is often a highly emotional time, and there are definitely significant hurdles to overcome (finances, children, accommodation, property, asset-division, emotional well-being, and more), the drama of divorce is in-my-opinion significantly increased due to the nature of the divorce law itself. There’s a theory that marriage is sacred and to protect the sacristy of marriage we should make it difficult to divorce. Thus trusting parties back together to resolve their differences, and live happily ever after. As I write this, the UK law (and many other Countries echo this approach), is that basically someone must be at ‘fault‘ to end a marriage. Otherwise, it can take years, literally, to end the marriage. Divorce may be too hard. But marriage is too easy! So it’s about time that the laws in the UK were evolved, and looks like that is set to happen (great article by the BBC here). The change in laws are set to end the ‘blame game’, as Justice Secretary David Gauke put’s it. However I think this misses one important issue, that I’m just not seeing raised anywhere… that whilst divorce may be too hard, marriage is in-fact too easy! If you’ve ever purchased a house, you’ll have some idea at the complexity of paperwork involved to achieve it. But it’s possible to get married almost instantly, all you need is a couple of witnesses, and a signature and you’re done. Unlike signing a mortgage, a rental lease, or any other significant commitment you are asked to sign a piece of paper that does not list the terms of the agreement. That’s madness isn’t it? I’d love to know the percentage of married people that know what the terms of their marriage actually are, do you, really? For your reference, if the marriage is less than two years old you CANNOT end the marriage unless you can site unreasonable behaviour (UK law). So to be absolutely clear, even if both parties wish to end the marriage even 12 months of trying to fix any issues they simply cannot, not unless one (or indeed both) can actually prove unreasonable behaviour. I’m willing to bet there’s a few people reading this that did not know those were the terms that they (and you) signed up too..
Now some of these restrictions make sense to me under the idea of making marriage a commitment, but I think the terms need to be listed on the marriage certificate itself. In-short people need to know what they are signing up to. I’m willing to bet that very few do their due diligence before signing up. Perhaps that serves-them-right. But in a world where we all have to tick boxes to allow people to send us information, to confirm we read the terms and conditions of a new vehicle with just purchased or all the other paperwork that we are ‘required’ to sign, why is it that marriage, perhaps the biggest commitment we might ever undertake is except from such safeguards. Of course, I totally get that for most, including myself marriage was a thoroughly thought out event, and something I went into with a great deal of thought, and I had been in a long-standing relationship before I would consider such an act. That is not true for all. I do not have any statistical information to back up my suspicions, but I suspect they may be some link between length of relationship prior to marriage, and the duration it lasts. A casino in the UK cannot allow anyone to walk off the streets and start playing. They need proof of ID, and the process takes a minimum of 24 hours to complete. This is to remove spontaneity, and to discourage gambling in general, and make the decision a more well thought out one. Shouldn’t the same apply to marriage? So I do believe in marriage, I do believe the sanctity of marriage should be protected and even enhanced, I do believe the divorce laws should be enhanced and improved to allow for amicable divorce, but more should be done to make sure couples are fully committed and aware before they sign up in the first place.